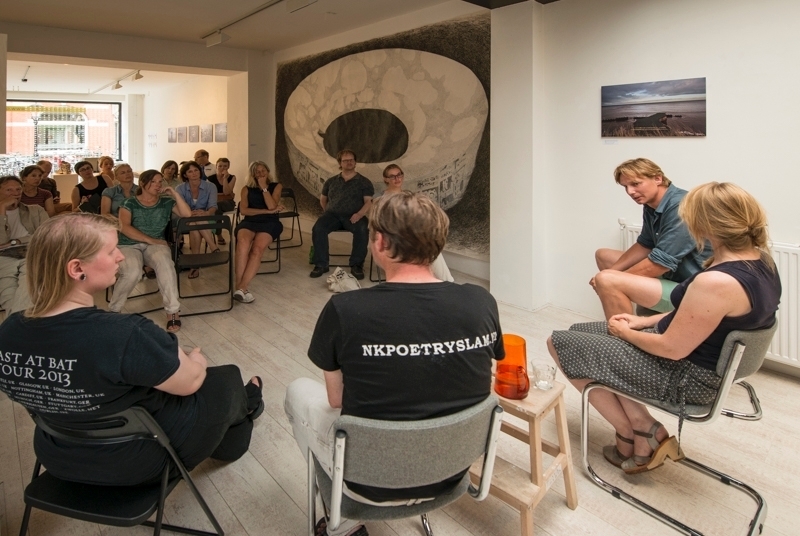 So, the Diep Gaan exhibition ended well, with an artist talk (including me) on the 5th of July. It was incredibly hot at the gallery, at least half of the people (including me) looked like a sweaty mess, lol! I finished the last of my 1000 cranes on Thursday the 2nd. 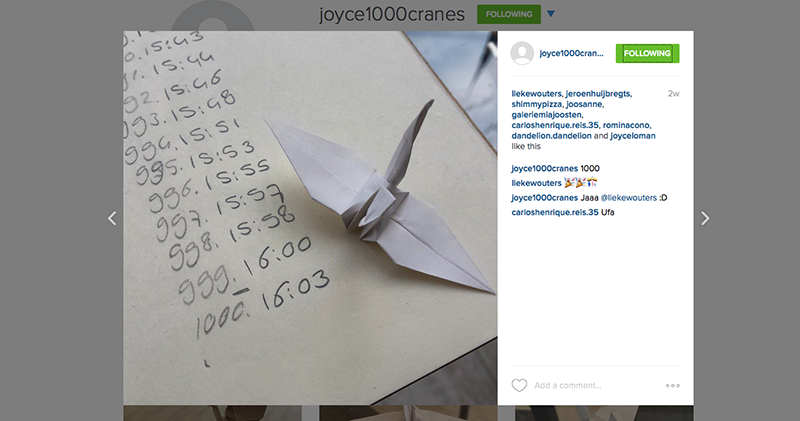 For all photos of all (yes, all) cranes, please view my instagram account @joyce1000cranes. Also, the exhibition at Artspace Flipside ended on the 12th of July. 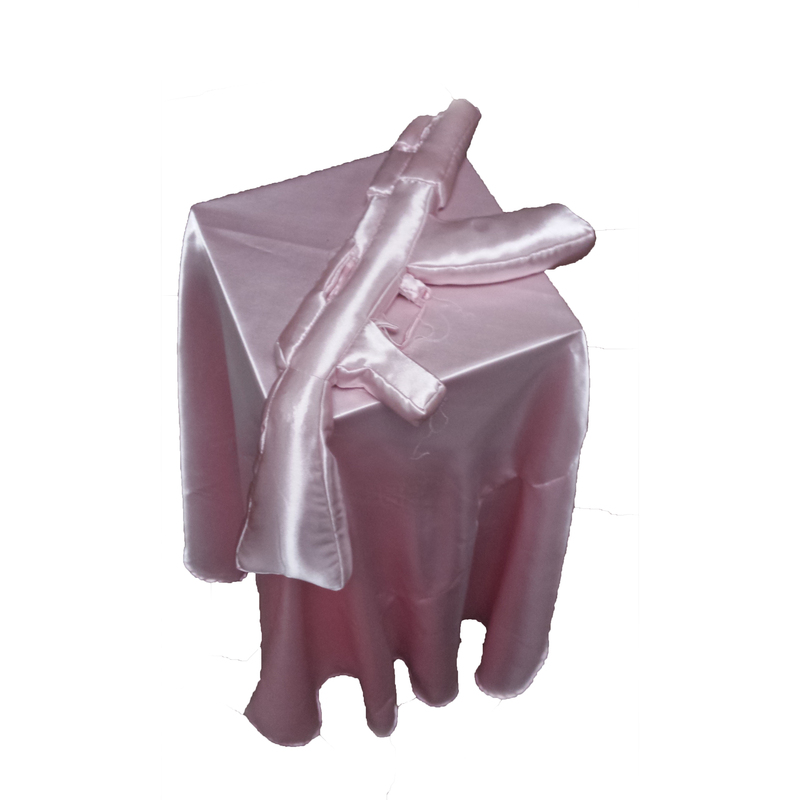 Decent photos of the satin Kalashnikov I made will be online on my portfolio website soon!